A day course at Holt Wood in Devon where you can learn about medicinal trees, shrubs and other plants which can be cultivated in a forest garden. This day will be of interest to designers, gardeners, growers and land managers. You will find out how to design or extend a forest garden with medicinal plants including trees and shrubs. During this day we will cover key native and introduced medicinal trees and shrubs and their identification features and uses. A practical walkabout will provide opportunities to see and identify medicinal plants growing in a woodland setting. 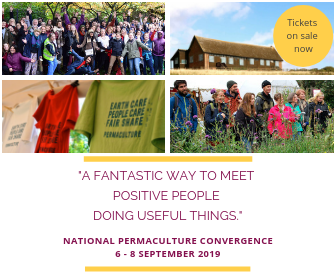 There will be sessions on permaculture design suggestions, sourcing and propagation of plants, planting and maintaining a medicinal forest garden. The cost of this course is inclusive of learning materials and refreshments.